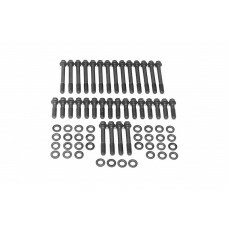 Manufactured by ARP, Edelbrock head bolt kits contain a complete set of the highest quality head bolts and hardened washers available. Cold formed to ensure molecular integrity and heat treated prior to thread rolling and machining. Hardened and ground washers included. Rated at 170,000 p.s.i.